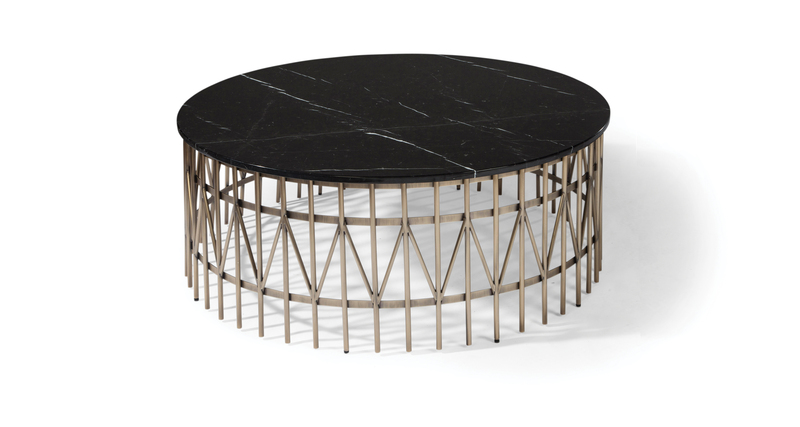 Our luxurious Nikolas Kage cocktail table features a stunning polished marble top available in either black marquina marble or white carrara marble. 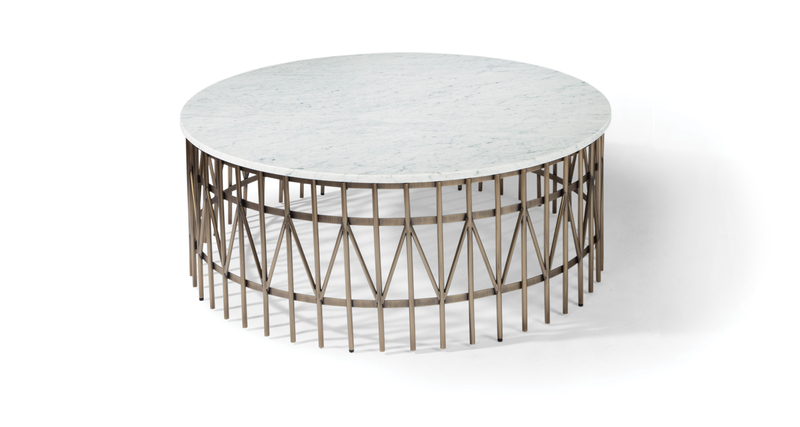 Nikolas Kage's metal base comes in either polished stainless steel as No. 1409-14, brushed bronze as No. 1409-14-B, or satin brass as No. 1409-14-SB. Base available in polished stainless steel as No. 1409-14, in brushed bronze as No. 1409-14-B, or in satin brass as No. 1409-14-SB. Top available in black marquina marble or white carrara marble. Must specify.